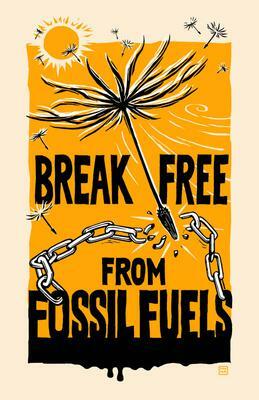 It’s time to break free from fossil fuels! It’s not time to promote pipelines and expand tar sands production in an attempt to create short-term jobs. It’s time to be brave politically and leap to the future instead of hanging on to yesterday’s energy mindset. I’m calling on Justin Trudeau and Rachel Notley to break free from fossil fuels. Most Canadians now believe that Canada’s economic future is based on a clean energy platform replacing the dirty energy which has fueled global growth for the last 150 years. But some of our most prominent political leaders still cling to the false notion that the fossil fuel industry needs to be propped up before we can shift to clean energy. Albertan Premier Rachel Notley is relentless in her pursuit of Tar Sands and pipeline expansion. "I won’t let up. We must get to ‘yes’ on pipelines… to tidewater that allow us to diversify our markets," she said at the recent NDP national convention. Prime Minister Trudeau has talked about pipelines paying for Canada’s transition to a clean economy. The fact is that Canada does not need more pipelines. It can continue to get its current oil to markets without spending one additional dollar on pipeline expansion. 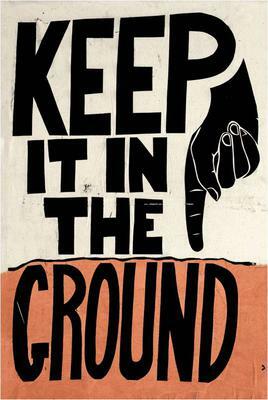 Fracked American oil has replaced the tar sands and the world is weaning itself off fossil fuels. Break Free is a movement and a call for action. The planet is heating up faster than anyone expected. February 2016 was the most abnormally hot month in history, by a heart-stopping margin. Scientists didn’t expect this kind of temperature increase for decades. Parts of the Arctic were 16 degrees Celsius warmer than they should be. Canadians are ready for an end to the fossil fuel era but our political leaders are not. Just last month, the Prime Minister publicly announced that we need tar sands pipelines to make the transition to renewable energy. That seems pretty counter intuitive! New fossil fuel infrastructure would lock us into decades of oil-dependence — having catastrophic impacts on the climate. Not to mention, more pipelines would mean expanding Canada’s tar sands which have had devastating downstream impacts on Indigenous communities. Let’s send a clear message to the Prime Minister: we need a commitment to supporting clean technology and Indigenous rights. What better time to send that message than right as the National Energy Board announces its recommendation for the Kinder Morgan pipeline? Rolly has been published widely in both print and online publications. You can follow him on Facebook, Twitter, Linkedin, and Boomers Speaking Out.